Elsa and Gunner are two lovely sweet buns who have recently been paired together. 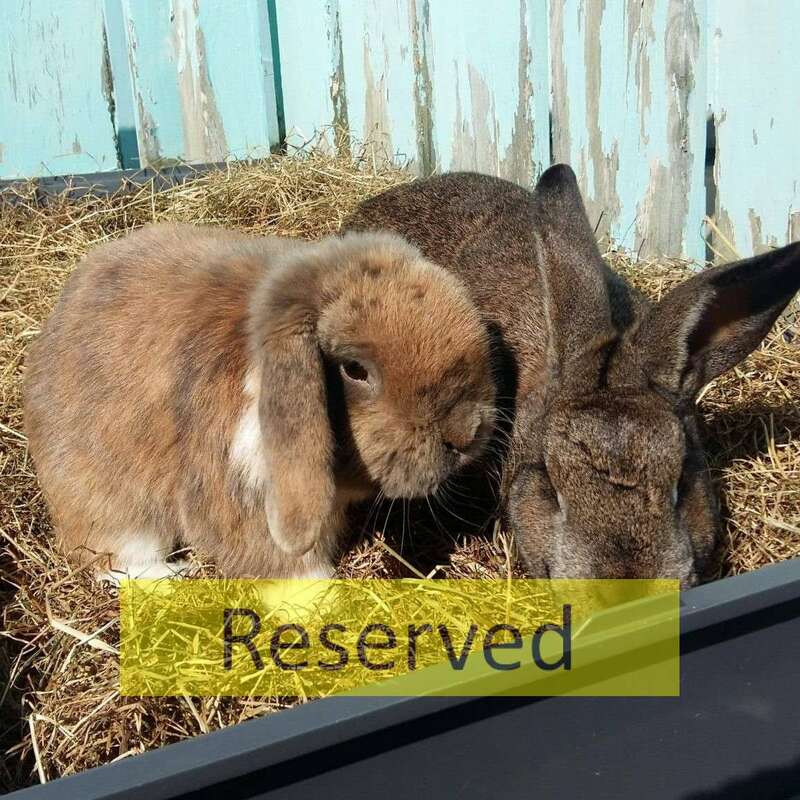 Elsa is a female bun, brown/brindle in colour around 3 years old whilst Gunner is an approximately 1.5 year old neutered male, tan/brown in colour. Whilst Elsa and Gunner came from the same home, they did not live together in each other company, as Gunner was still an entire male. Now Gunner has been neutered and has healed well, they have finally been able to spend time with each other, and they get on great! They are both fairly nosey buns, and it’s clear to see they love to investigate everything! They love having the space to run about and they both get so excited when pellet and veggie time come around! Upon spending time with them, they do enjoy getting a head rub and don’t mind human presence once they get to know you. Elsa and Gunner would love a loving spacious home of their own. If you feel you could offer a home like this for these great buns, please call up to the sanctuary, speak to the staff and fill out an application form!